Laparoscopic surgery has developed rapidly over the last few years, and many surgical procedures formerly carried out through large abdominal incisions are now performed laparoscopically. Reduction of the trauma of access by avoidance of large wounds has been the driving force for such development . However, the insertion of needles and trocars necessary for the pneumoperitoneum and the performance of the procedure are not without risk . 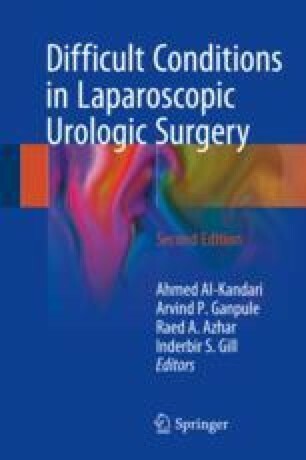 The technical modifications imposed by surgical laparoscopy are obvious (e.g., number and size of trocars, location of insertion sites, specimen retrieval), and therefore morbidity may be substantially modified. Complications such as retroperitoneal vascular injury, intestinal perforation, wound herniation, wound infection, abdominal wall hematoma, and trocar site mestastasis have been reported . Royal College of Obstetricians and Gynaecologists. Preventive entry-related gynaecological laparoscopic injuries. Green-top Guideline 49. http://www.rcog.org.uk/files/rcog-corp/uploaded-files/GT49PreventingLaparoscopicInjury2008.pdf. Published January 5, 2008. Accessed April 24, 2010.